Are your drivers up-to-date? Here's how to find out using today's free full giveaway! Between GMT 00:01 Sunday 1 April and 23:59 Monday 2 April, you get Driver Booster 5 PRO, with one year license, worth $22.95, for free. 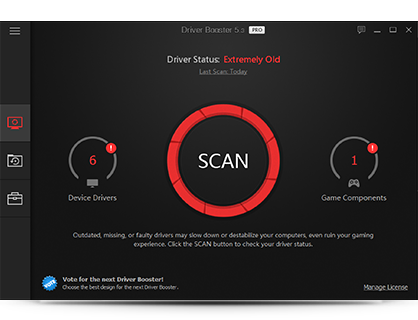 IObit's Driver Booster is a simple and straightforward tool which can scan your system for outdated drivers, then download and install and replacements with a click. The program is unusually easy to use. There's no complex interface, no searching around trying to decide what you need to do: just launch Driver Booster, it immediately scans your PC, and a detailed report appears just a few seconds later. You can then click the "Update" button individually for particular drivers, handy if you want to keep precise control over exactly what's going on. Or if you're in a hurry, just click "Update All" and Driver Booster will download and launch each update for you. You'll have to manually work through each installer, but this doesn't take long, and we had our test system fully updated in just a few minutes. You don't get the bonus features here that you'll sometimes find in similar programs. There's no list of your hardware or installed drivers, for instance. No backup option. No extras at all, really. Driver Booster's default settings are a little annoying, too, with the program setting itself up to launch when Windows starts, yet only check for updates once a week. Fortunately, this is easy to change, but it shouldn't be necessary: if Driver Booster just set up a scheduled task then it wouldn't have to run in the background at all. Giveaway available between GMT 00:01 Sunday 1 April and 23:59 Monday 2 April. 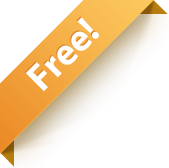 Please note, to get your full one year license, you should activate Driver Booster 5 PRO during the giveaway period. You won't be able to activate from Tuesday 3 April.